Once in a while I’ll pick up a paintbrush and get my hands dirty. This particular piece was a commission, and it made me want to paint more! I’ve got a few blank canvasses sitting around waiting for paint, calling out to me. This long weekend was a cool weekend for me. 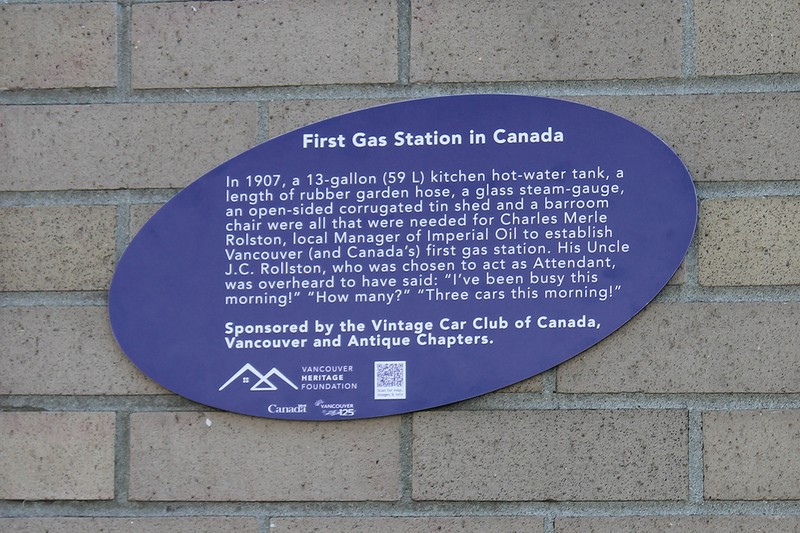 The Vancouver Heritage Foundation’s Places That Matter Plaque Project was recognizing Canada’s first gas station. Which, as it turns out was run by my great-great uncle. The thing is, my grandfather passed away when my dad was quite young, as a result, we lost contact with pretty much all the other Rolstons in the province. 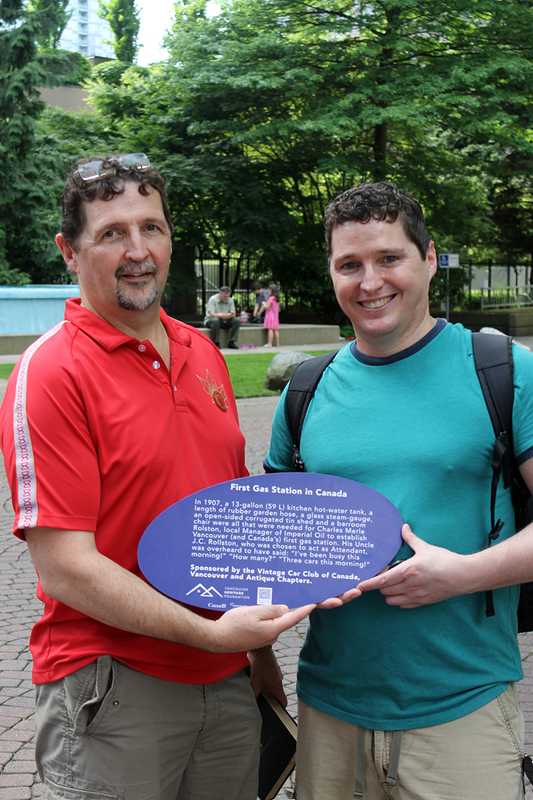 The Plaque Project created a sort of imprompto family reunion for us. It was brilliant! Unfortunately only one of my brothers was able to be there with me to meet the other Rolstons…maybe next time we can get our side of the family out in force. My brother Rick and I holding the plaque before it gets mounted on the building. Turns out that there is an artistic gene that runs in the family. 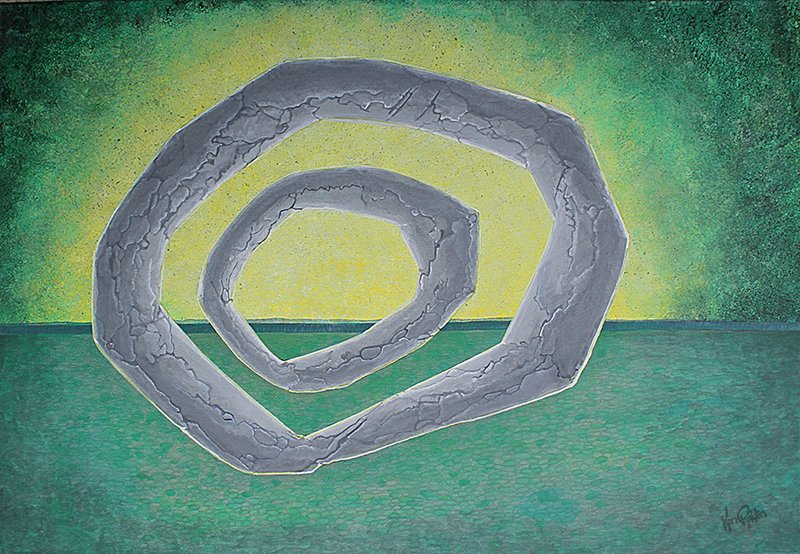 I met a talented Vancouver artist named Steve Rolston a while ago at a workshop. He is the one that told me about the plaque dedication, and it turns out that my great great grandfather, and his great great great grandfather were brothers, and they married two sisters back in Ireland in the 1800’s. It was such a mind blowing weekend. I’ve always had a big family…it just got way bigger!